"Death is the new and unshakeable lens through which I see," writes Dana Levin about her third book, in which she confronts mortality and loss in subjects ranging from Tibetan Buddhist burial practices to Aztec human sacrifice. Shaped by dreams and "the worms and the gods," these poems are a profound investigation of our inescapable fate. As Louise Gluck has said: "Levin's animating fury goes back deeper into our linguistic and philosophic history: to Blake's tiger, to the iron judgments of the Old Testament." Why are you saving her if she is dead? Curve of sky a crescent blade. Dana Levin's debut volume In the Surgical Theatre won the prestigious APR/Honickman First Book Prize. She teaches creative writing at the University of New Mexico and in the Warren Wilson College MFA Program. She lives in Santa Fe, New Mexico. 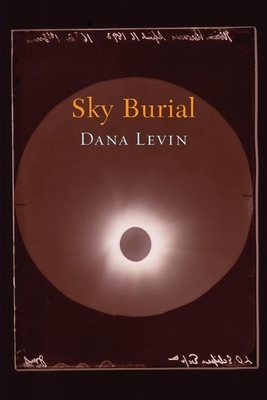 Dana Levin: Dana Levin has published two books of poetry, Wedding Day (Copper Canyon) and her first book, In the Surgical Theatre, which won the APR/Honickman Award in 1999. She is the Russo Endowed Chair in Creative Writing at the University of New Mexico, and also teaches in the Warren Wilson College MFA Program for Writers. She lives in Santa Fe, New Mexico.